Thorough assessments are tailored to individual needs. 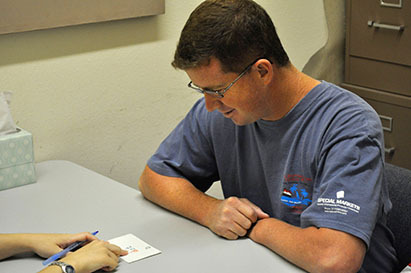 Evaluations include comprehensive information about oral motor skills, swallowing and eating, listening and speaking, reading and writing, and nonverbal communication. Results are discussed with the family and integrated into a family-focused treatment plan. Treatment is provided in the most appropriate location for each individual, including at our office, work site, home, and in the community. We accept Medicaid, Mi Via, DD Waiver, Children's Medical Services, CYFD, NM TBI Crisis Program and most insurances.